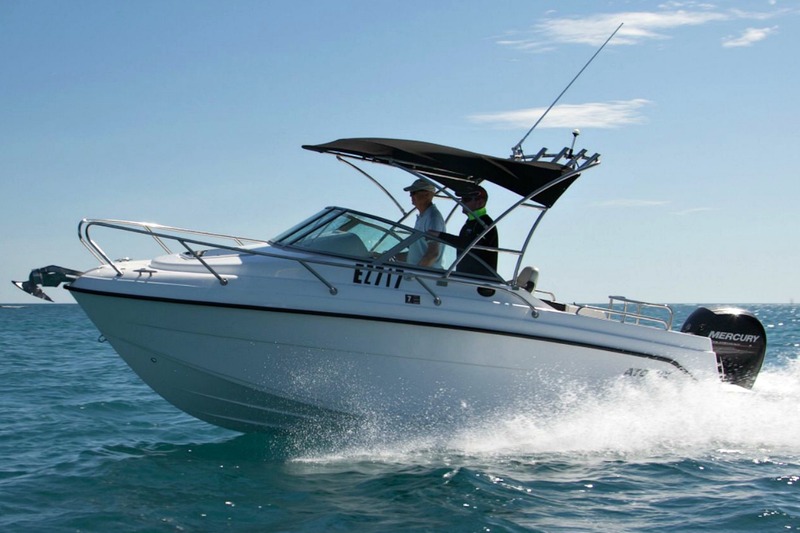 Designed by renowned Naval Architect Brent Bakewell White for rough New Zealand waters the clever use of space, storage and lockable cabin privacy on the new range of Atomix Boats is sure to impress. Safe, Stable and Dry the tough Vacuum Resin Infused Fibreglass hulls of Atomix boats are built to meet and exceed strict international CE standards, required by over 30 countries including Germany, UK, France and Denmark. Atomix boats are also Independently tested and certified to meet the strict CE Stability, Freeboard, Buoyancy and Floatation compliance and therefore sold in multiple locations around the world, they are available in Australia through Hitech Marine. For peace of mind all Hitech Marine Atomix Boats come with Australia`s first limited 10 Year Structural Fibreglass Hull Warranty.